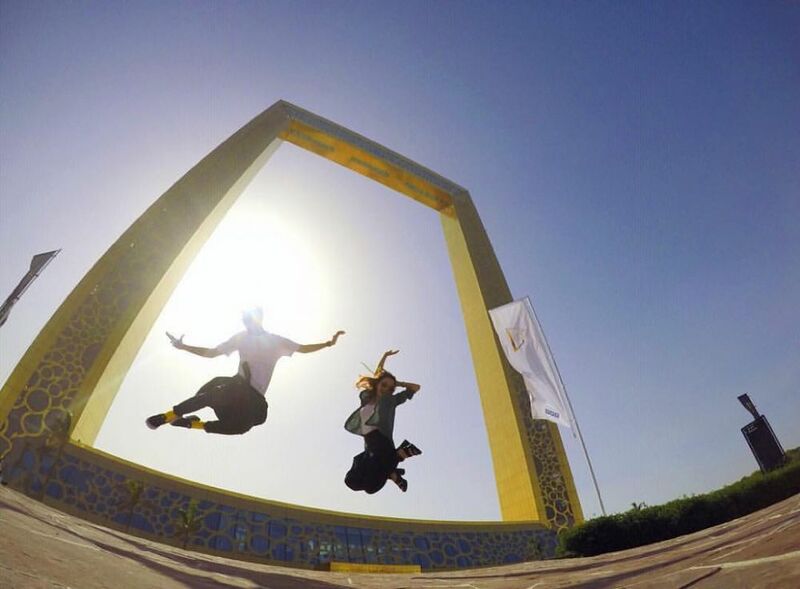 On 31st of January and recently inaugurated one of the other magnificent and unique buildings which is the Dubai Frame, the 150-meter-tall building in the world's largest frame. Yes, the shape is like a picture frame on the wall of your room. 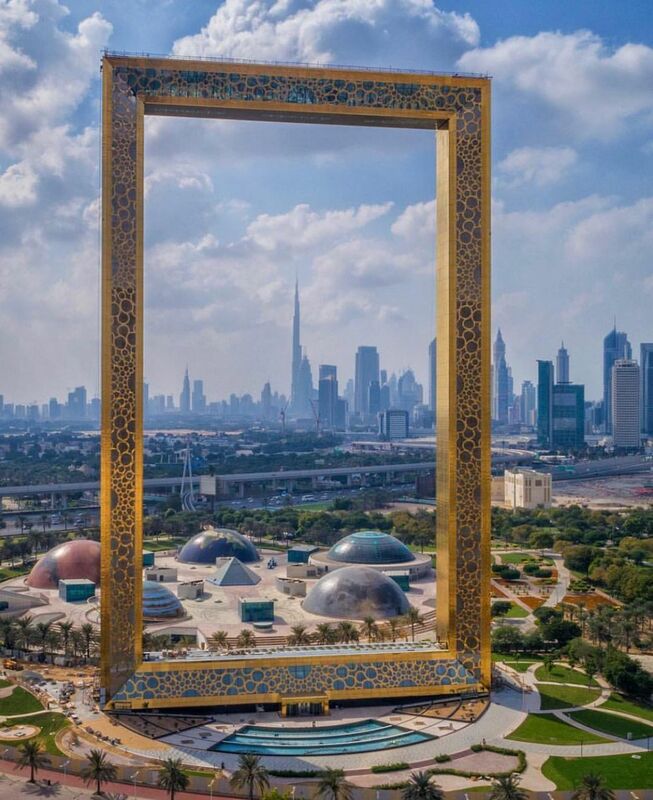 Dubai Frame was built since a decade ago. If viewed from the right position, Dubai Frame will frame the Burj Khalifa high-rise buildings perfectly. Predictably, that is the origin of this unique building built. Moreover, to its anti-mainstream outward appearance, this building also has some advanced facilities in it. 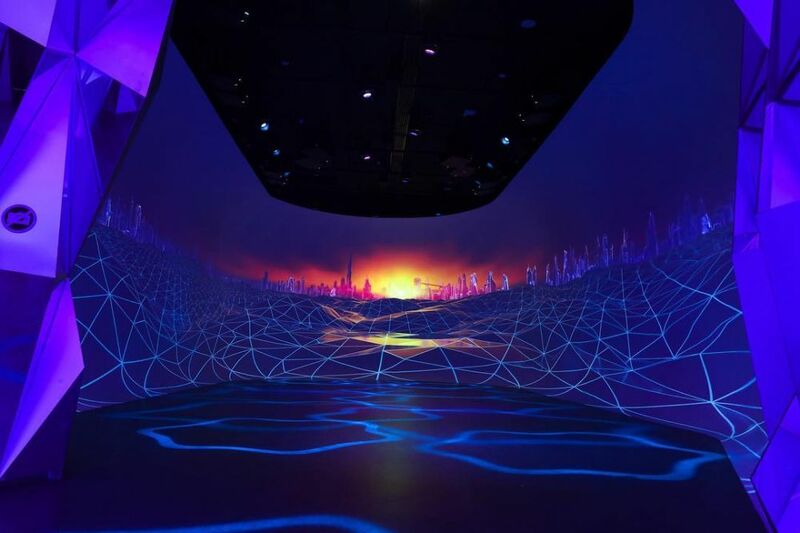 Such as galleries, interactive museums, as well as exhibits of augmented reality technology. The highlight of this building is the main destination of tourists, the 93-meter connector bridge that the base is made of glass. Intrigued by the appearance? Here is the following 10 portraits of Dubai Frame. 1. From a distance, here is the appearance of the largest frame-shaped building in the world. 2. 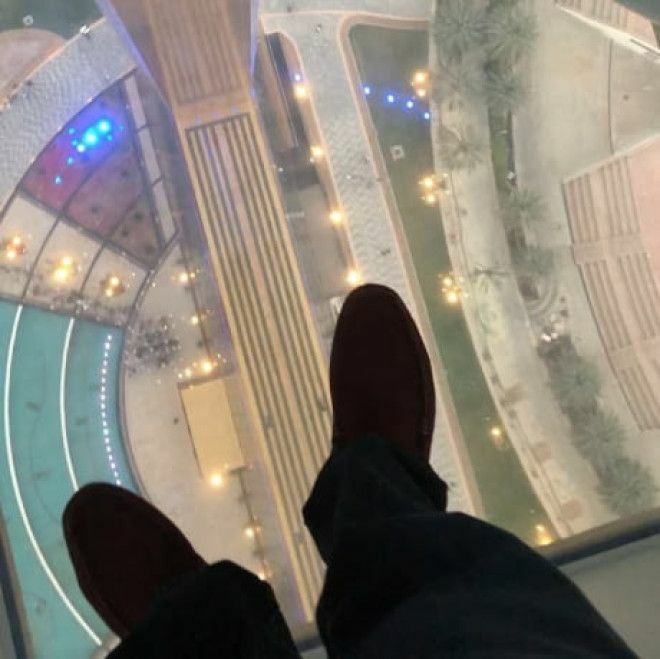 From the right angle, this building is able to frame the view of the Burj Khalifa. 3. 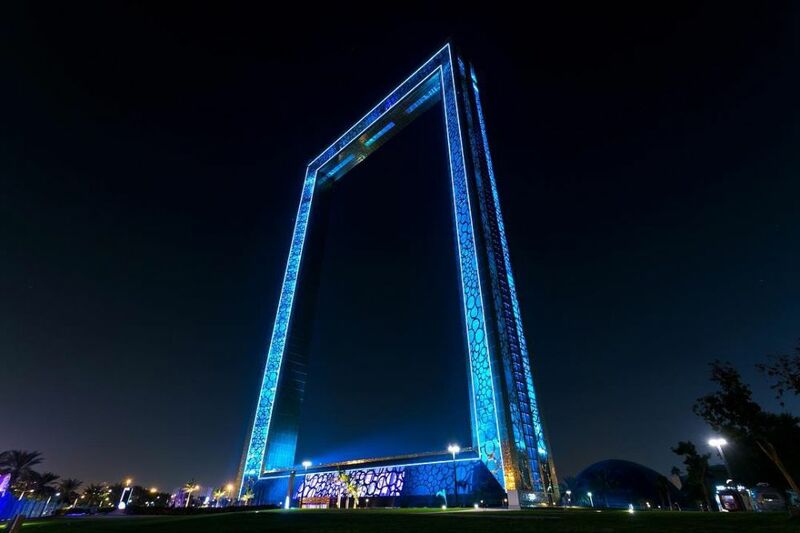 Portraits of Dubai Frame at night, look more beautiful combined with lights. 4. There are various facilities that can be enjoyed in this building. 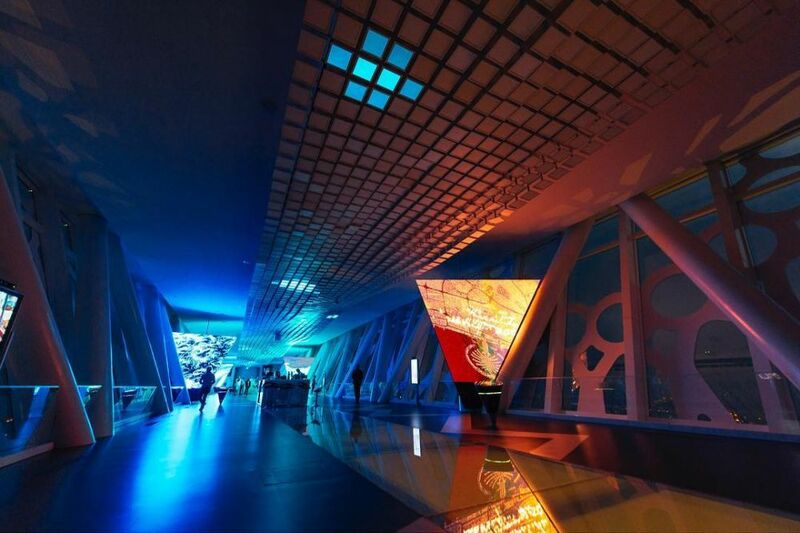 Among them are museums, galleries, interactive technology and a bridge along 93 meters at the top of the building. 5. Not only the majestic outside, in from the building is equipped with sophisticated features. 6. 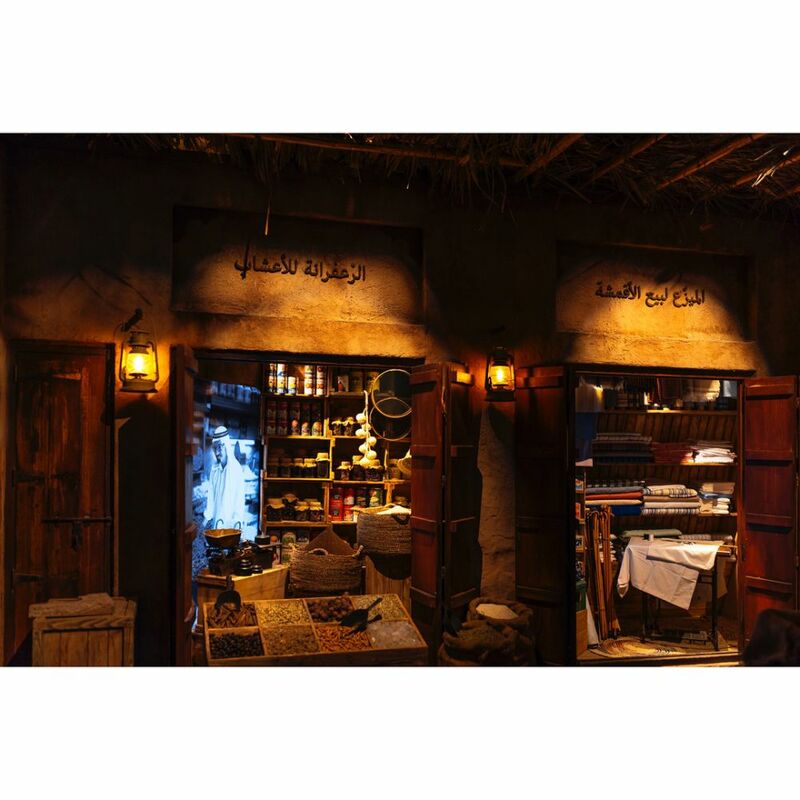 As it goes into the time machine, visitors can feel the atmosphere of old age Dubai and the present day in this building. 7. 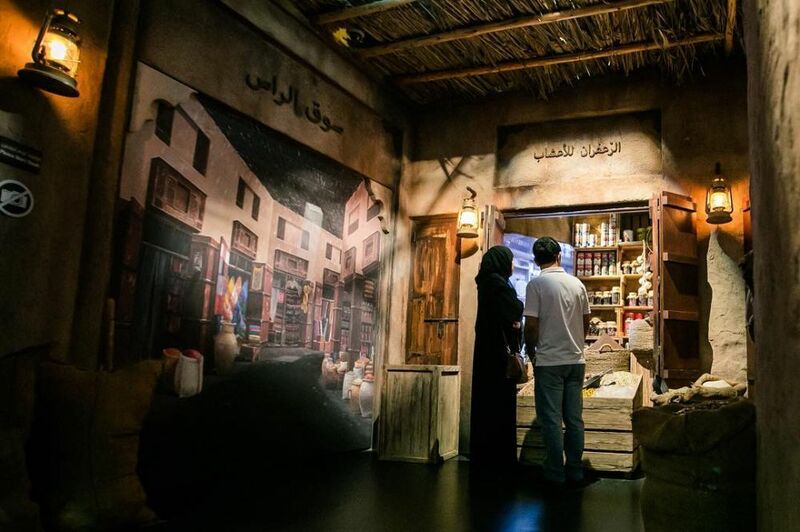 Portraits of old Dubai were shown in a museum gallery. 8. 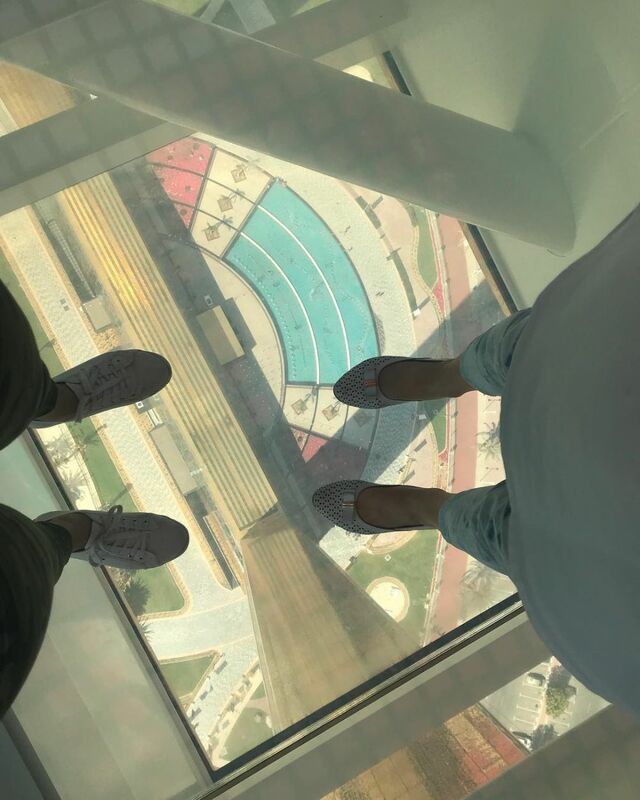 The main purpose of visitors is the bridge that lies on the top floor of Dubai Frame. 9. Because the bridge has a length of 93 meters is only based on clear glass. Feeling run in the air. 10. 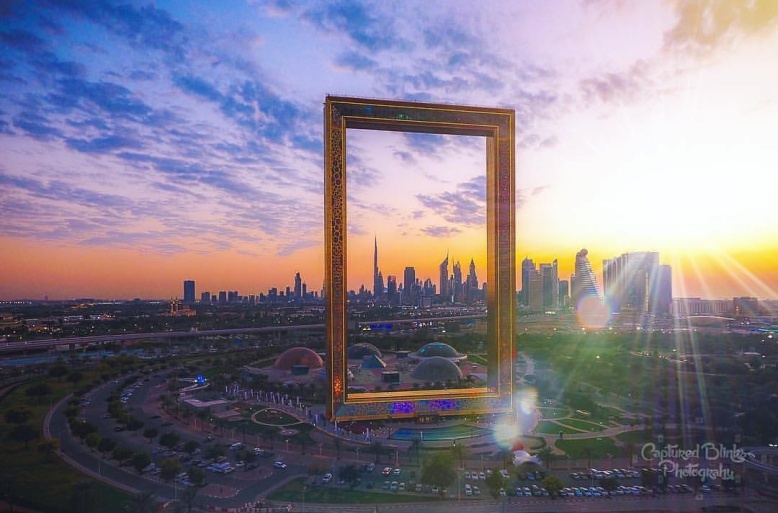 Dubai Frame is a must destination to visit during a visit to Dubai.